The camera system that Malin Space Science Systems, Inc. (MSSS) is providing for NASA's 2016 OSIRIS-REx mission to the asteroid Bennu has successfully completed environmental testing at Lockheed Martin's facility in Denver, CO. The system, collectively called the Touch-and-Go-Camera-System (TAGCAMS), consists of three camera heads and a digital video recorder (DVR). 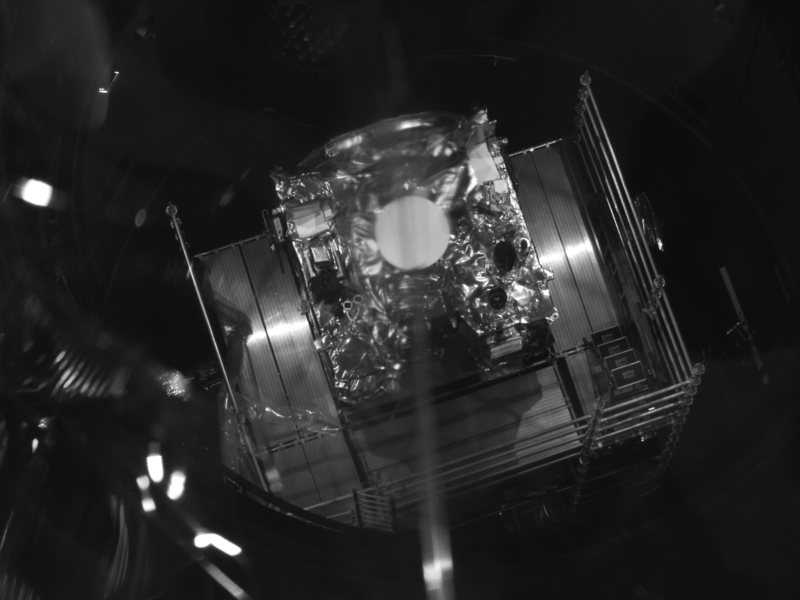 One of the camera heads, called Stowcam, is used to take color images of the OSIRIS-REx's Sample Return Capsule (SRC) while the sample of the asteroid is being stowed. The other two camera heads, each called a Navcam, will take monochrome images of Bennu and surrounding stars to help locate the OSIRIS-REx spacecraft relative to the asteroid and the desired sampling location. The DVR buffers and compresses the images the cameras produce, and also powers and controls the cameras. "We're very pleased with the performance of TAGCAMS on the spacecraft," said Michael Ravine, the instrument project manager at MSSS in charge of the TAGCAMS development. 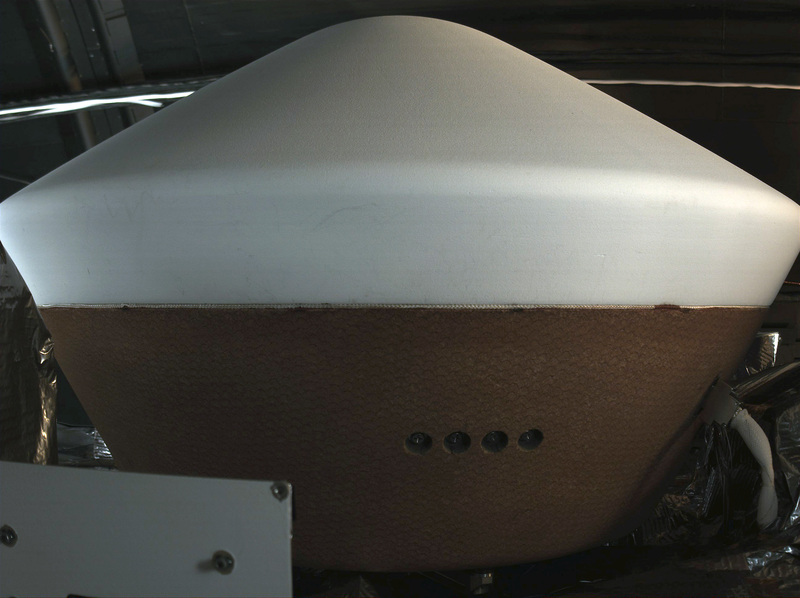 "It's exceeding its design goals and there were no surprises in testing, and it's always fun to get some extra unplanned images like the selfie as the spacecraft was going into the chamber. We're looking forward to the first images coming down from the spacecraft after launch." 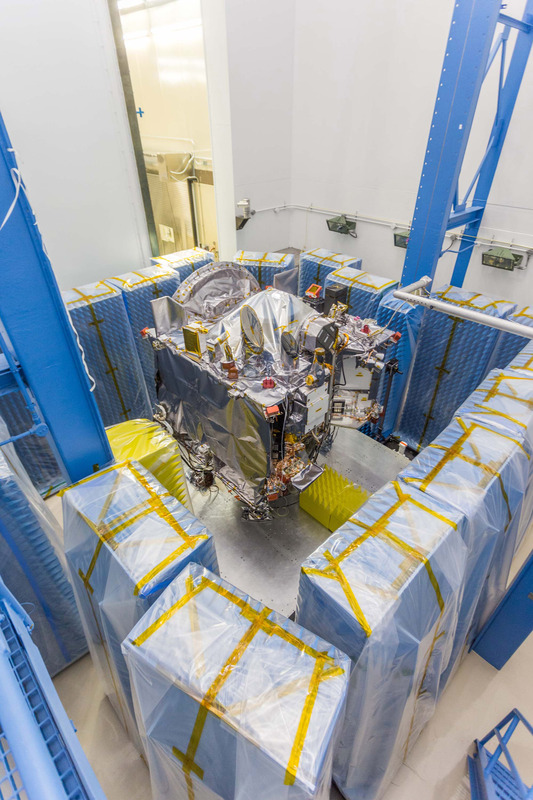 After some additional testing is completed, the OSIRIS-REx spacecraft will be shipped to NASA's Kennedy Space Center in Florida, where it is scheduled to be launched on an Atlas V 411 rocket in September 2016, arriving at Bennu about two years later. Dante Lauretta, the OSIRIS-REx mission's principal investigator, is based at University of Arizona in Tucson, AZ. The OSIRIS- REx spacecraft contractor, Lockheed Martin, contracted with MSSS for TAGCAMS. The mission is managed by the NASA Goddard Spaceflight Center of Greenbelt, MD, and TAGCAMS was developed by Malin Space Science Systems, Inc., of San Diego, CA, under a $3.0 million contract with Lockheed Martin. More information about the OSIRIS-REx mission can be found at www.asteroidmission.org. MSSS has four science cameras (two Mastcams, MAHLI and MARDI) on NASA's Mars Science Laboratory Curiosity rover, which have been operating on the surface of Mars for three years. MSSS is also operating two cameras onboard NASA's Mars Reconnaissance Orbiter mission (MRO), the Mars Color Imager (MARCI) and the Context Camera (CTX). MARCI provides a daily global weather map of Mars in five colors and two ultraviolet bands. CTX images Mars at 6 m per pixel resolution, and has already mapped more than 90% of the planet at that resolution. MSSS developed and is operating the camera on the Juno Jupiter Mission, which will arrive at Jupiter on July 4, 2016. And MSSS developed the three science cameras on the Lunar Reconnaissance Orbiter, which have been operating in orbit around the Moon for six years, and have returned over one million images to date. Other activities of the company are described at www.msss.com.